Melbourne, Australia – Friends, family and campaigners are celebrating Hakeem al-Araibi’s return home to the Australian city of Melbourne, after Thailand freed the refugee footballer who had been held since November on an extradition request from Bahrain. After his flight touched down at Melbourne Airport on Tuesday afternoon, al-Araibi was met by hundreds of supporters, including members of his football club Pascoe Vale and the Bahraini community in Australia. Some sang “You’ll Never Walk Alone” as they waited. “I want to thank to Australia. Amazing to see all the Australian people, the media that supported me,” the 25-year-old told reporters at the airport. His return marks the culmination of an international campaign by prominent footballers, human rights groups and the Australian government to halt his extradition to Bahrain, where he feared he would be tortured. “It is not possible to thank everyone involved because this campaign was not about one, or two or a handful, it was about hundreds of thousands of people and organisations of conscience worldwide who decided that goodness and compassion would trump evil,” Craig Foster, who once played football for Australia and is now the face of the #SaveHakeem campaign, in a statement. “We fought for one soul because Hakeem represented everyone who suffers under tyranny and, through him, we hope to build a better world,” Foster added. Yassin, a close friend of al-Araibi’s in the Bahraini-Australian community who prefers not to reveal his name for fear of repercussions in Bahrain, said he delighted that the footballer, whom he considers an “older brother, had been released. Yassin recalled a conversation the two had had while his friend was detained and facing the threat of years behind bars. Al-Araibi, who fled Bahrain in 2014 and had been recognised as a refugee in Australia, was arrested by Thai authorities in November when he arrived in the country for his honeymoon, at the request of the Gulf state. He had been found guilty of vandalism in his absence and given a 10-year prison term despite the fact he had been playing a football match at the time of the alleged crime. Yazbek thanked all those who had taken part in the campaign to free the footballer, including Australia’s Foreign Minister Marise Payne. “She was working very hard for him,” she said. Australia’s Prime Minister Scott Morrison took to Twitter to “thank all Australians for their support”. “We are grateful to the Thai government and thank them for the way they have engaged with us to enable Hakeem to return to Australia. We have also appreciated the constructive dialogue we’ve had with Bahrain to resolve this,” he wrote, echoing similar statements by other state officials. Amid the jubilation at Hakeem’s freedom, Bahrain insisted that it stood by the decision of its own court in al-Araibi’s case. Al-Araibi was once a member of Bahrain’s national football team, but was detained in November 2012 when he says he was subjected to torture. After he had fled to Australia, al-Araibi was put on trial in his absence and found guilty of attacking a police station in a case Amnesty described as unfair. His brother is currently in prison having been found guilty of the same charge. FIFA, football’s governing body, said it was “extremely pleased” with the decision to allow al-Araibi to return home, and to the “relevant public authorities for doing the right thing and bringing Hakeem’s ordeal to an end”. Australian football said it was preparing to welcome al-Araibi home. 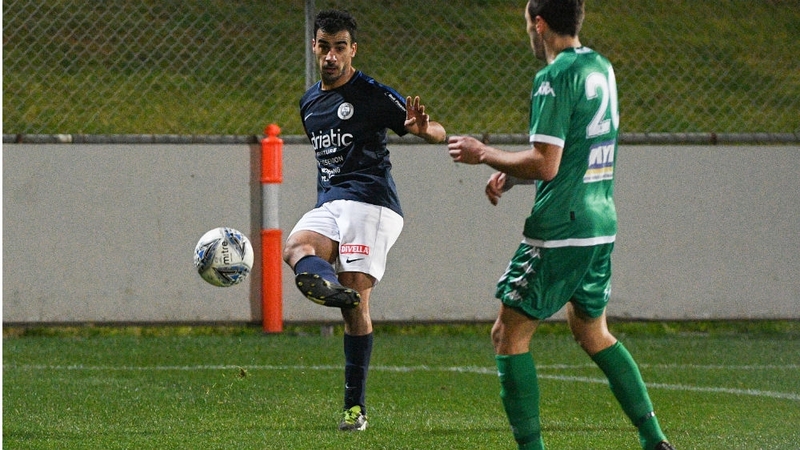 Pascoe Vale FC has already registered al-Araibi to play in the 2019 season and his friends are making plans to celebrate his return. “I can’t wait to take him to the Twelve Apostles,” Yassin said, referring to one of Australia’s most famous natural wonders.